One way to find the best broker is to sort them by payout. The payout is the amount each broker pays whenever you make a successful trade. This varies from broker to broker. It can be 70 percent, 80 percent or even 90 percent. Then you have trades that payout in the hundreds or thousands of percent. Those are the higher risk, more complex and much harder to get right type of trades. The average payout is an important number to pay attention to because it’s more money you get to keep. It’s less of an advantage the broker has over you. Now, obviously, payout percentages shouldn’t be the only thing you base your decision on. The broker should be legit, accept banking methods you use and offers the trades/assets you want, too. But all things being equal – a higher payout is better. And here’s where you can get them. Here are some commonly asked questions about high payouts and our answers. How do high payouts work? The payout is simply a percentage of what you risked that the broker will pay you if you make a successful trade. For example, say the broker pays out 70 percent. If you wager $10, 70 percent would be $7. If your make a good prediction you’ll get your $10 back plus a $7 payout from the broker. You’ll get $17 total. The broker says payouts up to 80 percent? How come this asset/trade says different? When they say up to 80 percent, 90 percent or whatever, that’s either going to be the max or it’s going to be an average. You’ll notice that all contracts are different. What’s more is they change until you complete the transaction. However, once you make the contract the value and payout will stay the same. You’ll get paid out that amount if your prediction is right. These are amounts (in percentages) the broker will pay you from every losing trade you make. Say you agree to a $10 contract/trade. The broker offers a 15% rebate/refund. Your trade loses, so you get $1.50 back. And say they have a 70% return on successful trades. Every $10 you get $7 in profit. Overall this brings the percentage up to 85%. 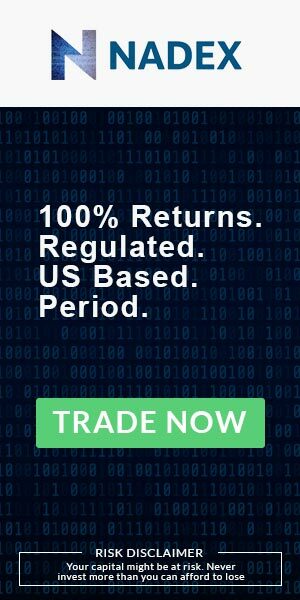 On every two trades you’re getting back $18.50 for every $20 you spend. That still means you’re in the hole $1.50. But that’s how brokers make their money, and is the risk you take when essentially betting on coin flips at a disadvantage. Should you go with a bigger percentage? All things being equal – yes. If you have two equal contracts and one pays out 75% and another pays out 77% percent, then go with the 77% contract. This is one good reason to having accounts at multiple brokers. In other cases the contracts or options are not the same. In those cases often one trade is much harder to predict than the other, which is why it has a higher payout. Many experts suggest going with the smaller wins instead of the long shots (like boundaries) because they add up – especially when you practice solid bankroll management. You’re not going to lose your money with one or two wagers like the guy betting the farm on a 10:1 contract. What about the percentages that exceed 100%? These are usually harder trades / contracts. For example, one touch options usually fall between 100-200%. Boundary contracts are considered one of the most complicated contracts out there. That’s because it has two strikes. You win or lose depending if the value of the underlying asset reaches one of the two strikes in a certain time frame. Because these are harder to predict the payouts are much higher – 200-500 percent being the norm. Beginners should stay away from these until they have more experience under their belts. Assuming all things are equal, payouts matter because the smaller the payout the more of an edge you need to be profitable in the long run. For example, binary options are a 50/50 deal, assuming you have no experience or any way to increase your edge. Every two contracts you make – in the long run – you win one and lose the other. And that’s where the broker gets their edge – and their money. Because they don’t pay out 100% on winnings, in the long run you’re losing a tiny bit of money every time you make a bet. And just to find the breakeven point you need to win more than 50% of the time. So the higher the payout, the less you need to win – which is important in a game where the outcome is 50/50. The same thing applies to roulette. You could bet on red, black, even or odd and expect to breakeven in the long run. The casino has a 0 or 00 which won’t pay you anything if you bet on one of the 50/50 options. Because of this the casino has a small edge over you. It’s not much, just a couple percent. But in the long run it will make them money (from you) which is all they care about. Binary options works in a similar way. Have a question about high payouts we didn’t answer? Send us an email. ← Sign Up… Make a Deposit… ?? ?… Get Free Signals?